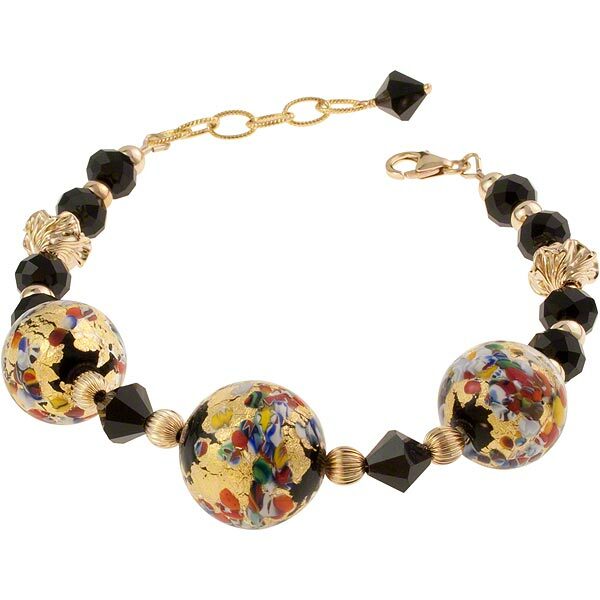 The Klimt bracelet combines some of the finest components including authentic Murano Glass, Swarovski Crystals, and 14/20 gold-filled findings. The beads used in this bracelet were inspired by the works of Gustav Klimt and are accented with 24kt gold foil over a base of black. This bracelet comes with a chain extender and fits 7 inch to 8 1/2 inch wrists.